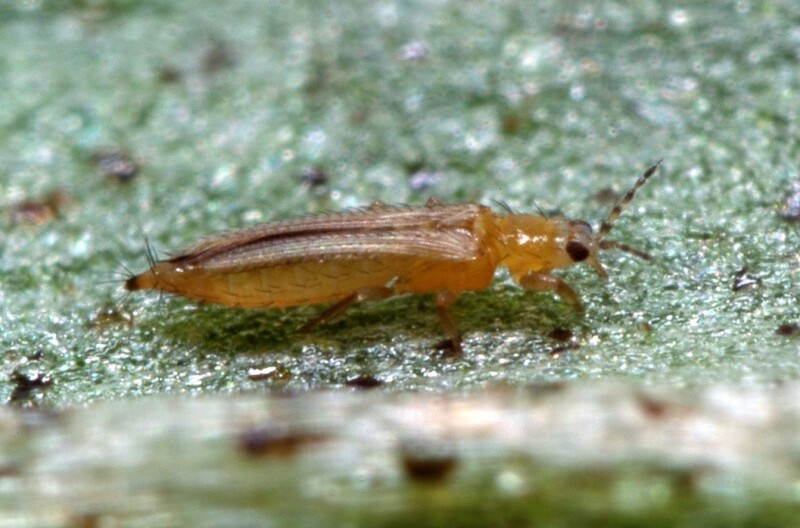 A report from the AMBER project trial on Western Flower Thrip (WFT) control in protected ornamentals, has shown significant reductions in pest numbers when using biopesticides as part of an integrated strategy. The AHDB-funded trial used a range of biorational insecticides and different tank mixes alongside macrobiologicals, explains Selchuk Kurtev, Certis’ IPM Manager. “Most notably, two applications of Azatin (azadiractin-A), derived from refined neem oil, saw a 100 percent elimination of WFT by the end of the trial,” he says. He adds that a single tank mix application of Botanigard (Beauveria bassiana) and Majestik (maltodextrin), followed by the introduction of macrobiologicals saw a 79 percent decrease in thrips after three days. Mr Kurtev explains that due to increasing incidences of resistance build up to conventional chemistry and as pests become more difficult to control in horticultural crops, these results are good news for the sector. “Studies that demonstrate the efficacy of using biorationals and macrobiologicals together, are vital for expanding our knowledge and futureproofing the industry,” he says. In light of these results, Mr Kurtev recommends taking an integrated approach to reducing thrips in protected ornamentals. “The first line of defence in susceptible crops should be macrobiologicals, such as predatory mites. Introduce these at the start of crop production as a preventative measure,” he says. “Monitor for the pest at least once a week and pay particular attention to the growing tips, flower buds and flowers. At the first sign of pest numbers, apply biorationals with anti-feedant properties, such as Azatin. “As an industry, taking an integrated approach to thrip control is essential to ensure that we manage resistance and can continue to grow high quality crops for years to come,” he says.